People living with mental health disorders like schizophrenia and Bipolar disorder are often prescribed medications to help treat or alleviate the symptoms of their disorders. Risperdal is a popular antipsychotic drug used to treat these and other disorders in both adults and children. Now, some people are speaking out against the drug, saying it caused serious side effects like the development of male breasts. Learn more about Risperdal and the possible side effects that have over thousand former users filing lawsuits against the drugmaker. Risperdal is the brand name of an antipsychotic medication used to treat certain mental health disorders. The main ingredient in Risperdal, risperidone, belongs to a class of drugs known as atypical antipsychotics, or second generation antipsychotics. What is Risperdal used for? Risperdal is indicated for the treatment of schizophrenia, acute manic or mixed episodes associated with Bipolar I Disorder, and irritability associated with autistic disorder. Risperdal has also been used “off-label” to treat other disorders, including Obsessive Compulsive Disorder (OCD), dementia and Alzheimer’s disease, Attention Deficit Hyperactive Disorder (ADHD), Tourette’s syndrome and Asperger’s disorder. Risperdal, like some other atypical antipsychotics, has mood stabilizing effects which help treat patients with intense and sustained mood shifts. Because of this, doctors may prescribe Risperdal to some patients even if psychotic symptoms are not present. Risperdal is approved for use in adults, as well as children diagnosed with certain disorders. Risperdal has not been approved for use in elderly patients with dementia-related psychosis. Other uses of Risperdal by elderly patients have not been sufficiently studied. Like all atypical antipsychotic drugs, Risperdal’s exact mechanism of action is unknown. What is known is that the drugs work by blocking a specific dopamine receptor in the brain, the dopamine D2 receptor. Dopamine is a naturally occurring chemical that plays important roles in the brain and throughout the body. In the brain, dopamine acts as a neurotransmitter, sending signals to other nerve cells. Dopamine plays a major role in reward-motivated behavior, as well as motor control and controlling the release of various hormones. D2 receptors are one of the most abundant dopamine receptors in the brain. Risperdal is manufactured and marketed by Janssen Pharmaceuticals Inc., a subsidiary of Johnson & Johnson. Janssen lost its patent and exclusive marketing rights over Risperdal in 2003 and 2004, respectively. Now, generic versions of the drug are available and sold by more than a dozen other pharmaceutical companies. When did Risperdal come on the market? The Food and Drug Administration (FDA) approved Risperdal on Dec. 29, 1993. The drug was initially approved to treat schizophrenia in adults. It was later approved to treat certain symptoms of Bipolar I Disorder and autism. Are there generic versions of Risperdal available? Yes. Janssen Pharmaceuticals lost its patent for risperidone on December 23, 2003. Since then, more than a dozen companies have received FDA approval to sell a generic version of Risperdal under the generic name risperidone. Generics are generally cheaper than their name-brand alternatives and contain the same active ingredients. Gynecomastia is a possible side effect of Risperdal. 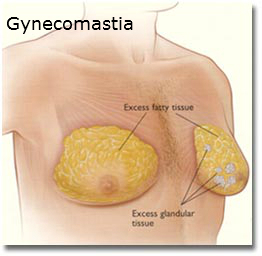 Gynecomastia is the overdevelopment of the male breast, usually caused by too much estrogen or too little testosterone. The condition causes boys and men to develop larger than normal breasts and can cause serious emotional trauma to the sufferer. Boys and men suffering with gynecomastia may choose to have surgery to remove the breast tissue. Liposuction removes the breast fat, but not the breast gland tissue itself; a mastectomy removes the breast gland tissue. How does Risperdal cause gynecomastia? Risperdal increases the level of a protein in the body called prolactin. Risperdal increases prolactin levels more so than other antipsychotics. Prolactin is responsible for the production of breast milk in mammals; higher than normal levels of prolactin in the blood can trigger gynecomastia in boys and men. Several studies indicate Risperdal may contribute to the development of gynecomastia, especially in young boys. A Swiss study published in 2006 in the Journal of Clinical Psychopharmacology found risperidone, the active ingredient in Risperdal, can strongly increase prolactin levels and cause gynecomastia. The authors of the study found that of the 10 adolescents treated in their unit with risperidone, three boys developed gynecomastia. Almost all of the adolescents (eight out of 10) had elevated levels of prolactin in their blood, though not all showed symptoms. A Canadian study published in the Journal of Child and Adolescent Psychopharmacology last year came to a similar conclusion. The study found that males between the ages of 15 and 25 were four times more likely to develop gynecomastia compared to 15 to 25 year olds not taking risperidone. When the study authors limited the group to males aged 15 to 18, they found those teens were five times more likely to develop gynecomastia when taking risperidone. What other possible side effects are associated with Risperdal? Along with gynecomastia, Risperdal carries the risk of potential side effects that range from mild to severe. Which drugs can interact with Risperdal? Patients with a known hypersensitivity to either risperidone or paliperidone (a metabolite of risperidone), or to any of the ingredients in Risperdal. How do you take Risperdal? Risperdal is available as a tablet, an oral solution and an orally disintegrating tablet (ODT) sold under the trade name Risperdal M-Tab. Risperdal Tablets are available in multiple strengths and each pill is a different color: 0.25 mg (dark yellow), 0.5 mg (red-brown), 1 mg (white), 2 mg (orange), 3 mg (yellow) and 4 mg (green). All tablets are capsule-shaped. Risperdal used to be available in 5 mg strength tablets, but that strength was discontinued. Risperdal Oral Solution is only available in a 1 mg/mL strength. Risperdal Oral Solution can be taken directly from the calibrated pipette or mixed with a beverage (water, coffee, orange juice or low-fat milk). Risperdal M-TAB is available in multiple strengths, colors and shapes: 0.5 mg (light coral, round), 1 mg (light coral, square), 2 mg (coral, square), 3 mg (coral, round) and 4 mg (coral, round). The prescribed dosage amount will vary from patient to patient depending on his or her age and the disorder being treated, among other factors. The tablets, oral solution and ODT are usually taken daily, unless otherwise specified by a doctor. In 2003, the FDA approved Risperdal Consta, an intramuscular (IM) injection available in 12.5 mg, 25 mg, 37.5 mg and 50 mg vials. Risperdal Consta is given as a shot into the arm or buttocks. Unlike other forms of Risperdal which are usually taken daily, Risperdal Consta is administered every two weeks. The maximum dose should not exceed more than 50 mg every two weeks. How much does Risperdal cost? There are also generic versions of the drug available. Generics are generally cheaper than the name brand drug and have the same active ingredients. The following are prices for the generic risperidone taken from Drugs.com using the Drugs.com discount card without insurance. Insurance may cover the cost of your Risperdal or risperidone prescription. Janssen Pharmaceuticals also offers special assistance programs to Risperdal patients who qualify. Are there comparable drugs to Risperdal on the market? Not all atypical antipsychotics are approved to treat the same mental health disorders and will affect people in different ways. Is Risperdal safe during pregnancy or while breastfeeding? Risperdal is a pregnancy category C drug. This means animal studies have shown adverse effects on the fetus, but no adequate testing has been done in humans. Though Risperdal has not been studied in pregnant women, animal testing showed fetuses exposed to the drug during the third trimester were at risk for extrapyramidal (EPS) signs and withdrawal symptoms after being born. The risk of death was higher for pups exposed to all doses of Risperdal in peri-postnatal studies in rats. The makers of Risperdal warn the drug should only be taken during pregnancy if the benefits outweigh the risks. The drugmaker warns nursing mothers should not take Risperdal because the drug can pass through breast milk to the infant. New mothers who take Risperdal should either discontinue the drug or discontinue breastfeeding. This decision should take into account the importance of the drug to the mother, according to the Risperdal label. Has the FDA issued any warnings about Risperdal? Yes, the FDA has issued several safety warnings to the public regarding Risperdal. In 2005, the FDA issued a warning about Risperdal and the increased risk of death in elderly patients with dementia. The FDA said the treatment of behavioral disorders in elderly patients with dementia with Risperdal and other atypical antipsychotics increased a patient’s risk of death by nearly two-fold. As a result, the FDA issued a “black box” warning for all atypical antipsychotics regarding the increased risk of death in elderly patients with dementia. “Black box” warnings are the FDA’s strongest warnings, indicating there is an increased risk of serious injury or death associated with the drug. In 2011, the FDA issued a safety announcement about the possible risk of abnormal muscle movements (extrapyramidal, EPS, signs) and withdrawal symptoms in newborns whose mothers were treated with Risperdal during the third trimester of pregnancy. The drug’s label was updated to include this risk. The FDA issued a safety communication to patients and doctors in 2011 warning them about the possibility of mixing up Risperdal with another medication. The agency received several reports of patients receiving ropinirole (marketed as Requip), a dopamine promoter used to treat Parkinson’s disease, instead of risperidone (Risperdal) and vice versa. Some of those patients were hospitalized as a result of the mix up. Janssen Pharmaceuticals voluntarily recalled about 16,000 bottles of Risperdal 2 mg and 3 mg oral tablets in June 2011 due to an unusual odor. The company believed trace amounts of TBA had contaminated the products. TBA is a byproduct of a chemical used to preserve wood pallets. Apart from this specific recall, Risperdal has not been taken off the market and is still being prescribed to patients worldwide. Have lawsuits been filed against the makers of Risperdal? Yes, over 1,500 lawsuits have been filed against Janssen Pharmaceuticals, the makers of Risperdal, and its parent company Johnson & Johnson, alleging the companies failed to warn consumers about the potential risks associated with the drug. These lawsuits have been consolidated in a mass tort program in the Philadelphia Complex Litigation Center. Unlike a class action lawsuit, these cases are being heard individually by the court. Have any settlements been made in Risperdal cases? Yes. Johnson & Johnson agreed to settle one Risperdal case in 2012, an amount that remains confidential. Four other Risperdal cases have gone to trial, with juries handing down three verdicts in favor of the plaintiffs and one in favor of Johnson & Johnson. Risperdal cases have ended with substantial compensation for plaintiffs. Jurors awarded $2.5 million in February 2015 to a man who developed breasts while taking Risperdal as a child. A judge recently upheld the $2.5 million decision after J&J appealed. In November 2015, a Maryland man was awarded $1.75 million, which was later reduced to $680,000; and in December 2015, a Wisconsin man was awarded $500,000. 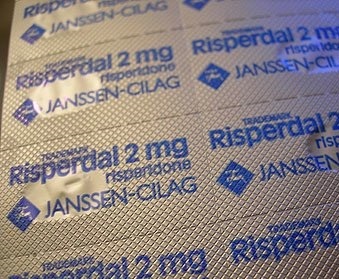 In March 2015, jurors found Janssen negligent in warning about the risks of Risperdal but failed to connect the plaintiff’s abnormal breast growth with Janssen’s negligence. In 2013, Janssen Pharmaceuticals agreed to pay more than $1.39 billion as part of a settlement to resolve allegations the company illegally marketed Risperdal for unapproved uses. The lawsuit alleged Janssen began marketing Risperdal to treat certain disorders in children and the elderly even though the drug had not been approved by the FDA for those uses. The FDA would later approve the use of Risperdal to treat children with certain disorders but not the elderly. The lawsuit also alleged both Janssen and its parent company Johnson & Johnson knew of the risks that Risperdal posed to children and the elderly but the companies downplayed those risks. In total, J&J paid $2.2 billion to the Department of Justice to settle criminal and civil allegations involving Risperdal and other medications. I took Risperdal as a child and developed male breasts, can I file a lawsuit? If you took Risperdal as a young boy and developed male breasts you may be entitled to compensation. Call the Hood National Law Group today to speak with our experienced lawyers and attorneys. 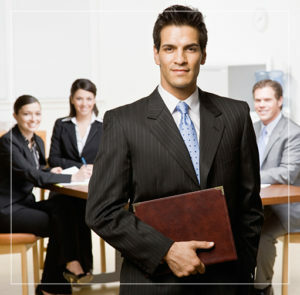 They can help you determine if you have a case and seek the justice you deserve. With so many lawsuits already pending in court, you need to act now. Call us today at 1-800-214-1010 for a free case evaluation or use the form on the right-hand side of your screen.